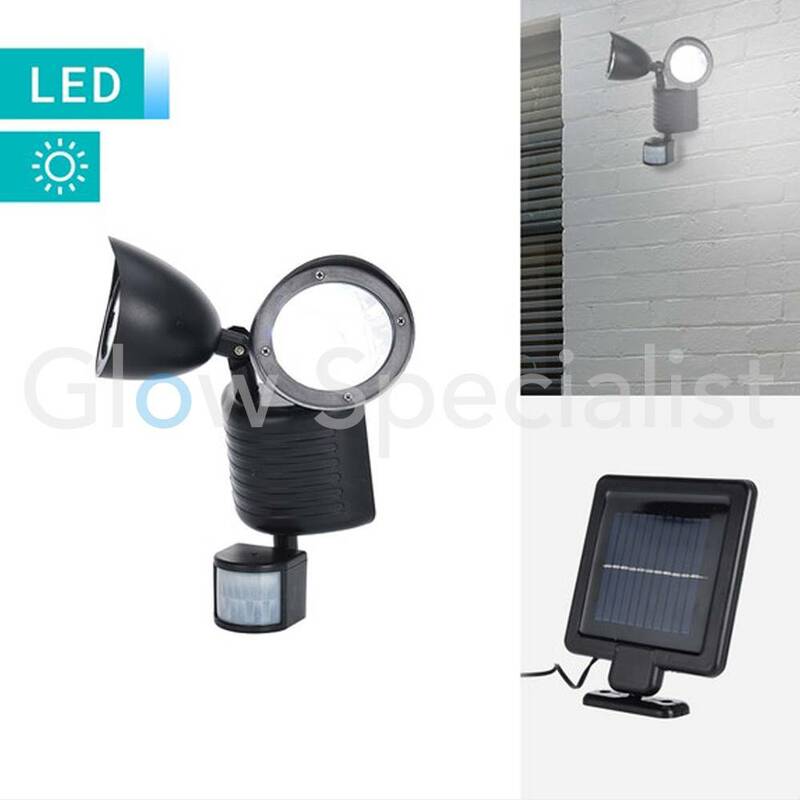 Professional outdoor spots with the latest LED technology with extra large light output. 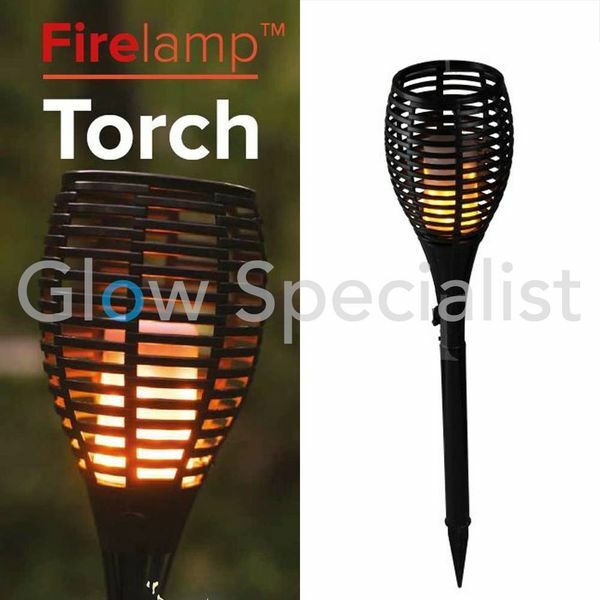 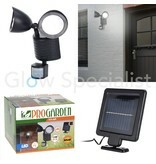 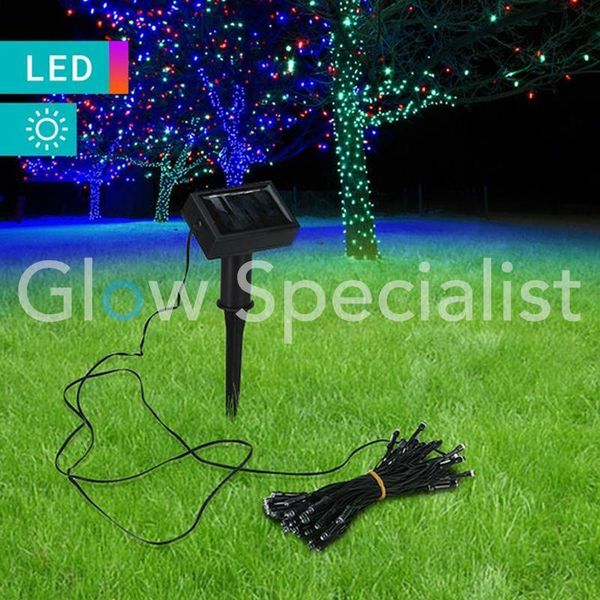 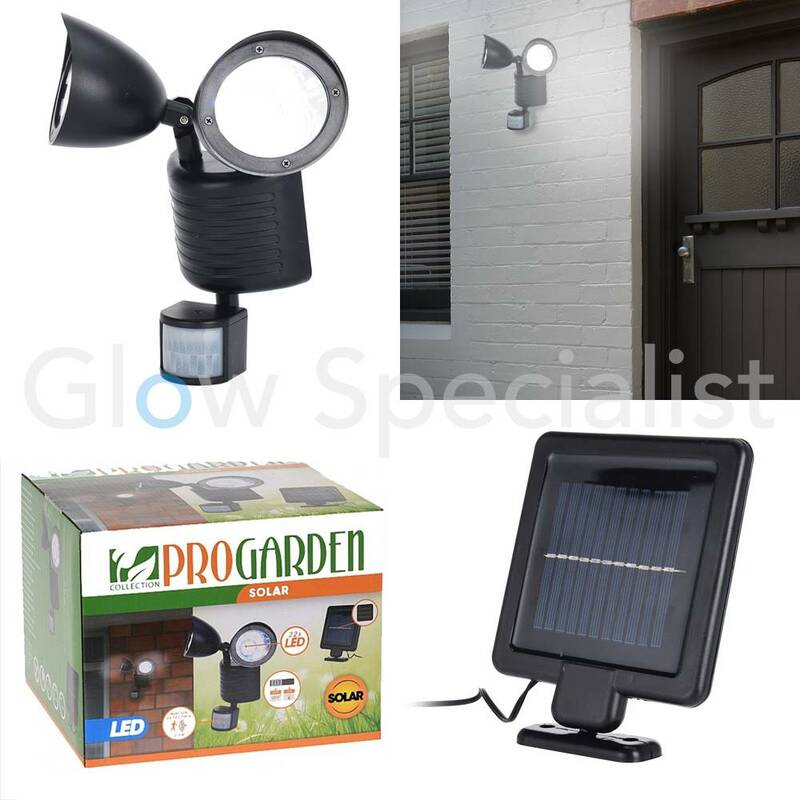 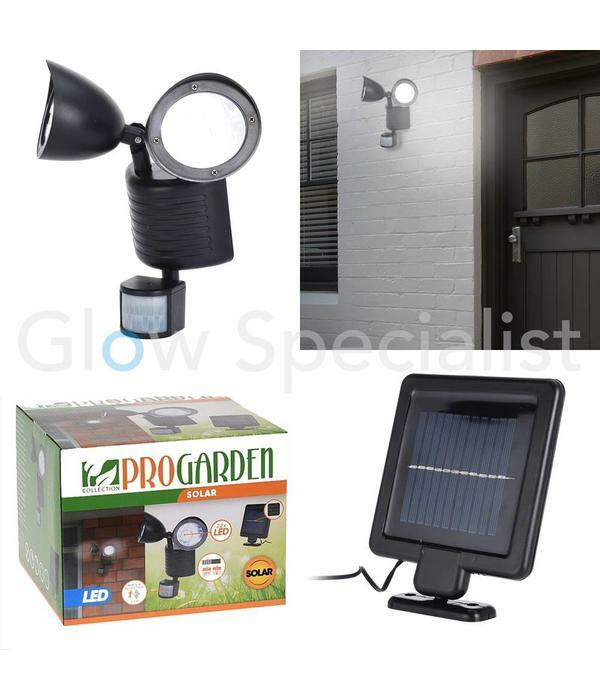 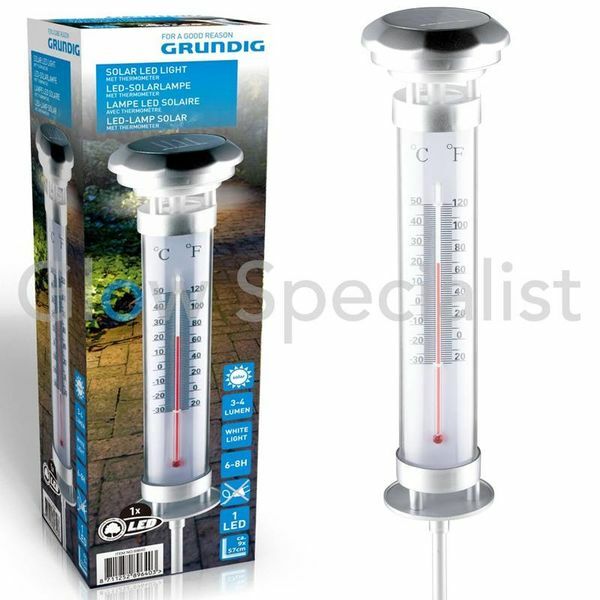 Easily illuminate your home, driveway, shed or business premises. 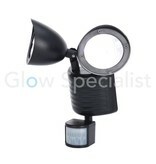 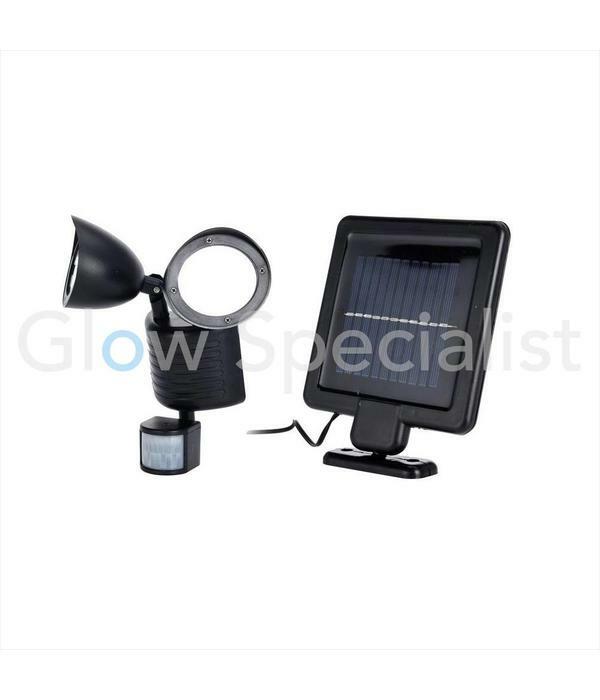 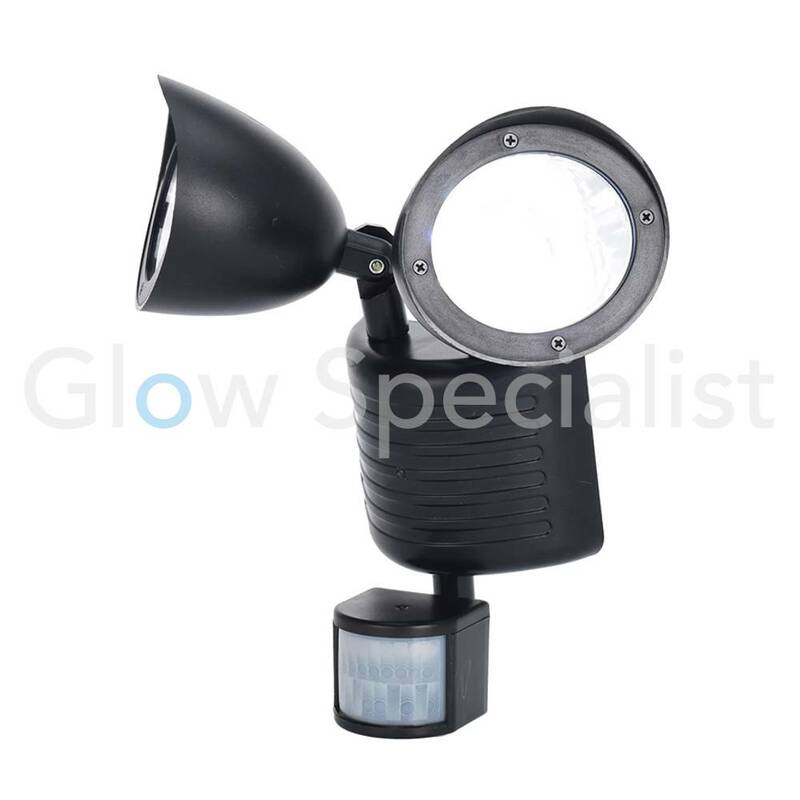 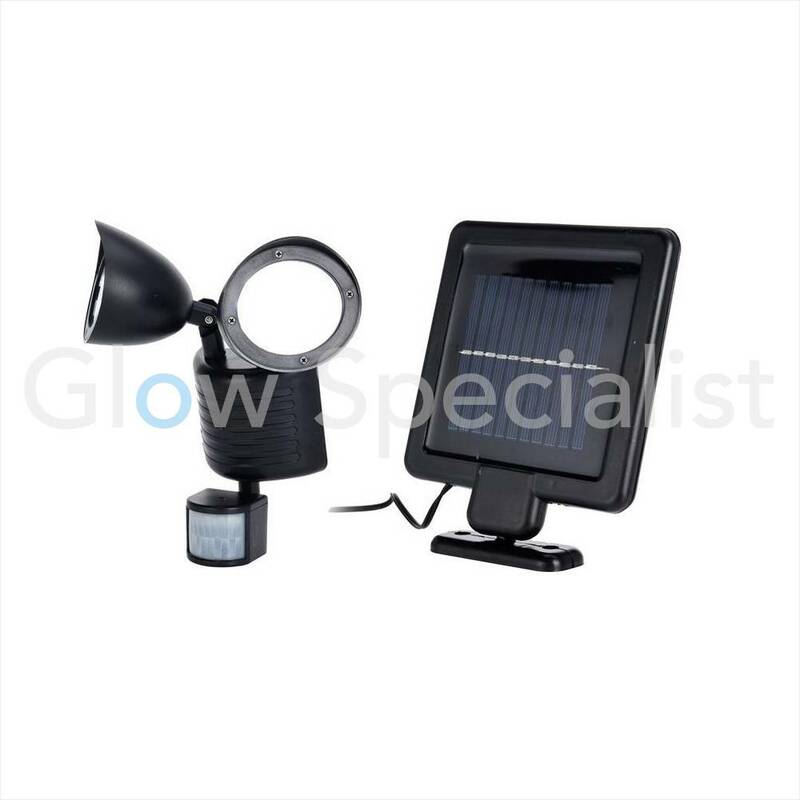 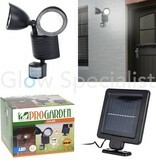 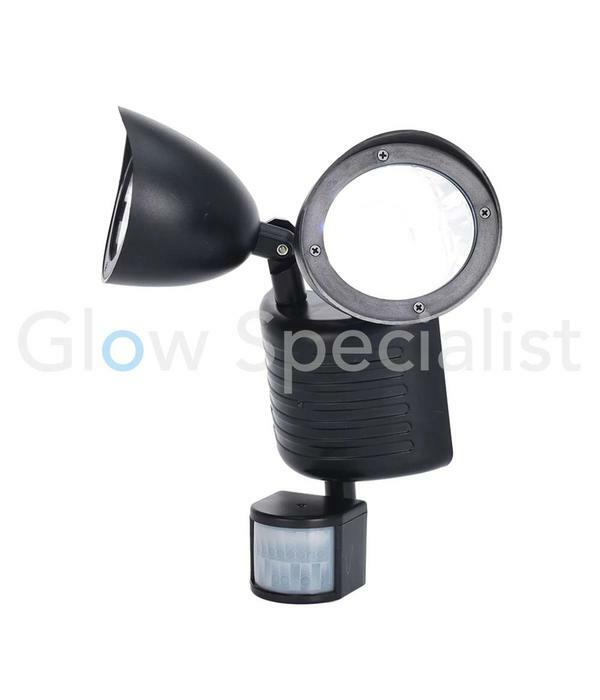 This solar cell lamp consists of 2 LED lamps with infrared motion detector and separate solar panel. Ideal for mounting this lamp set in an angle. These LED lights charge themselves with sunlight. The motion sensor has a range of 2-8 meters. 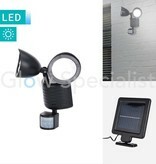 If someone walks by, the light automatically switches on. 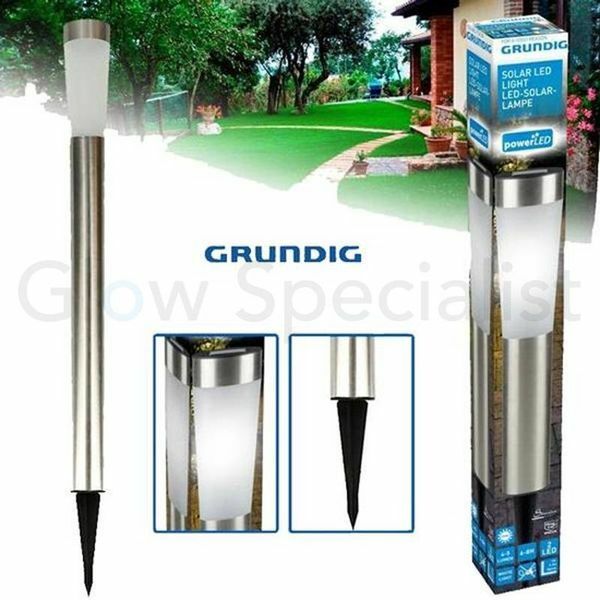 Super convenient when you come home in the dark. 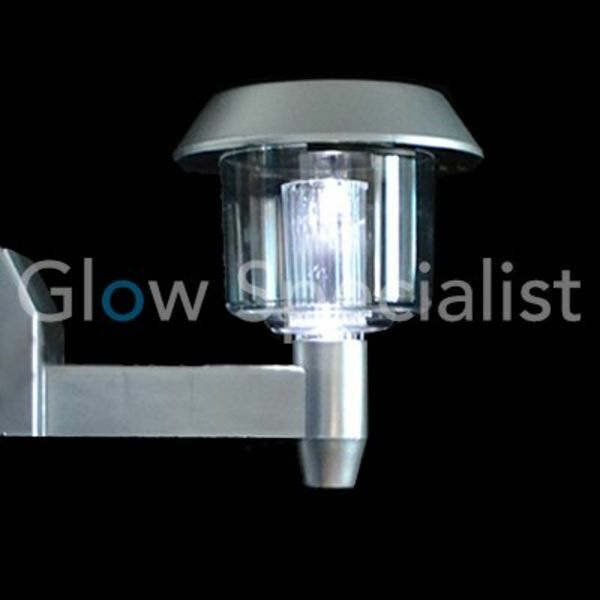 The 11 bright white LEDs of each lamp illuminate the area when the sensor is activated. The lamp is also very easy to install with the supplied plugs and screws. 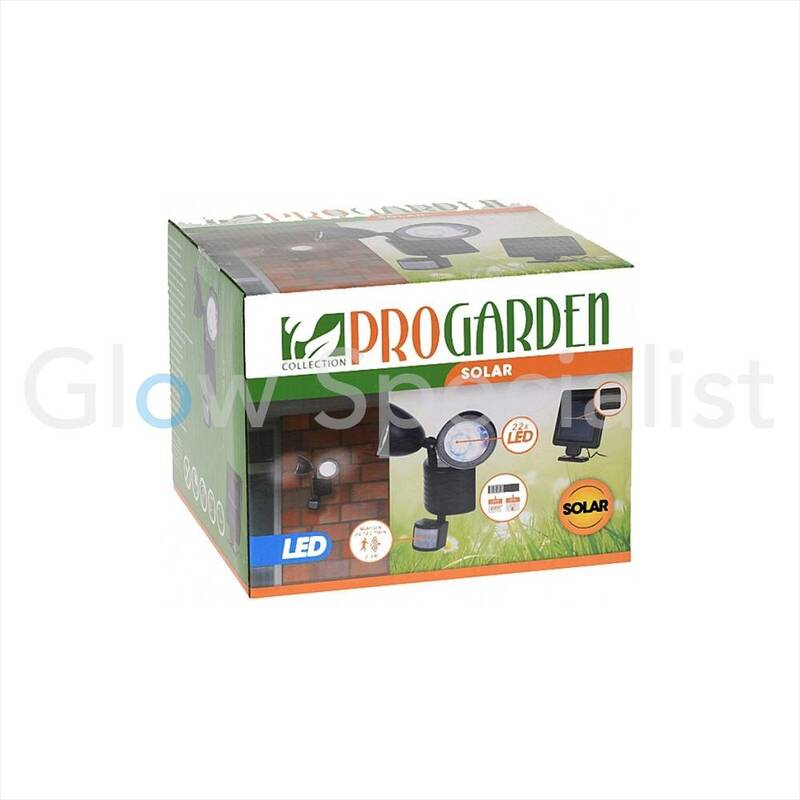 These projectors from Progarden are professional outdoor spots that do not require power supply. 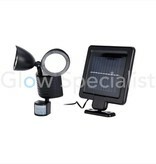 Green electricity thanks to the solar panel, with which the lamps are charged free and environmentally friendly. 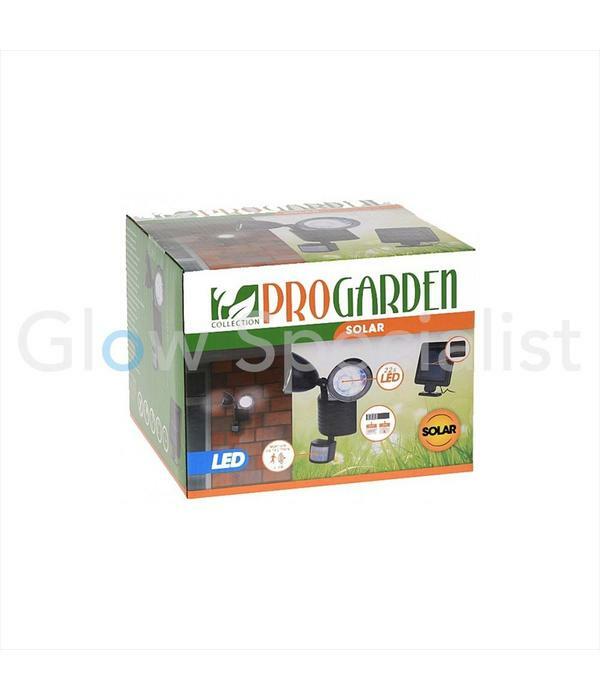 And there is a rechargeable and exchangeable 18650 battery included. 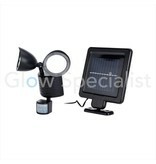 The response brightness can be adjusted via a twilight switch.